WOW! You can get an 85 piece Complete the Look Palette & 12 Piece Brush Set for only $3.00 right now when you make a $25.00 purchase! This is a $52.00 value for only $3.00! 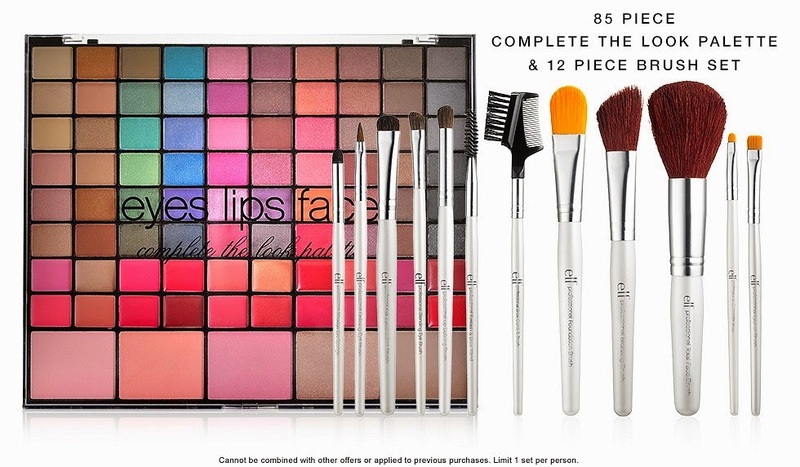 The 85 Piece Complete the Look Palette & 12 Piece Brush Set offer is valid through 3/31. You will need to use the coupon code COMPLETE to get this deal. Head on over to E.l.f. Cosmetics to get in on this deal by clicking on the picture below to start shopping!